Millions of years ago volcanic explosion covered this region with a blanket of thick ash, which converted into a soft rock known as tuff. Wind and water went to work on this plateau, leaving only the harder particles back to form a legendry landscape of cones, pillars, pinnacles, mushrooms, and chimneys. But human skills performed equally great works here. The rocky land is surrounded with a series of human-created caves, living houses;places for prayers, stables, and storeroom were all converted into the soft stone. In fact, tunnel beneath the ground created a whole town with as many as eight different stories hidden underground. Cappadocia is one of the rare places that must be visited at least once in a lifetime. It is a must to see destination. Cappadocia is situated on a high, dry plateau somewhere in the middle of Turkey. The region is sometimes hot, dry, cold, sometimes snowy and winter. According to the weather one can plan their visit. Those who wish to explore this place on their own; they can go on their own by renting bikes, scooters, or even cars. FAIRY CHIMNEY: These are rock cones that surround the castles. They come in different range of shapes and sizes, most of them are tall and Phallic shaped with a cap of harder stone that protects the softer rock underneath from erosion. But when it blows the wind and the rain starts to whittle away the cone until eventually it too collapses. GOREME OPEN AIR MUSEUM: It has more than 30 carved rocks–cut churches with beautiful wall paintings and chapels. It is a monastic settlement that housed monks. It is the first sight to be visited by any traveller. This museum has been listed in UNESCO WORLD HERITAGE since 1984. HOT AIR BALLOON: It is known world-wide as one of the best places to fly hot air balloons. You can just glide above the orchards between the famous fairy chimneys, rock formations and up and over the rippled ravines. DEVRENT VALLEY: It is also known as Imaginary Valley. It resembles the moonscape. There are rock pillars that resemble a Camel, Penguin, Seals and Dolphin. There is also a rock that resembles Virgin Mary holding Jesus Christ. VISIT A POTTERY WORKSHOP IN AVANOS: This town has been a centre for pottery and craft. The reddish brown clay is found inKizilirmakRiver or RedRiver. One can try your hand at the pottery wheel and also see the master artist at work.Vases, jugs, ashtrays, figurines and plates are the items available. HAVE A POT CLAY MEAL: It is one of the traditional meals here.This food cooked in the pot itself gives in turn a lovely sumptuous meal. HORSE RIDING: The best way to explore this unique landscape is taking a ride on a horse back. TURKISH NIGHT: It marks the perfect end to a day of sightseeing in Cappadocia. Most of the show takes place in the caves, it highlights the dancetradition of turkey with traditional costumes and of course the scintillating belly dancers. This will be one of the memorable experiences of your trip. JETBOAT AND GONDOLA: If you are interested in having fun on the river. This is the crazy ride all the way up the river and back at the top speed with 360degreespins and water spraying everywhere. HIKING: Those who are lover of simple nature this place offers endless trails for the hiker. You will find endless caves and rock climbing. Those who know to ride a bicycle or a motor bike can tour this place on them. Best hotels to live in are the Village Cave Hotel, Hezen Cave Hotel, Holiday cave hotel, TravellerCave Pension and Kelebek Hotel. Cappadocia is the jewel in its crown. 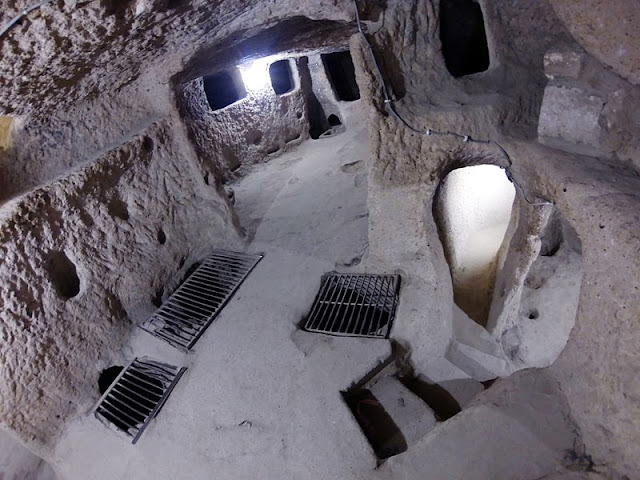 Come and live your very own Cappadocian dream.